Thought I’d share this cool nail look I did a few weeks ago. I saw this tutorial on YouTube by user Beenabop and decided to try it. I’m not into “tips” really, but I loved this look so much I wore it for almost two weeks! That’s just about a personal record. I can’t even lie though, it was a pain to do at first. 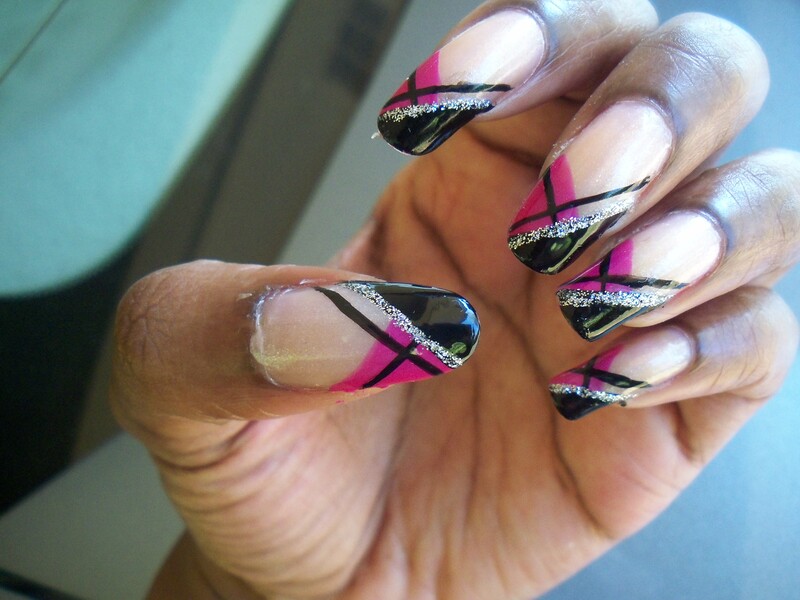 I redid my nails time and time again. I stayed up late trying to get it right. I never got some lines perfectly straight, but they were straight enough. Doing my right hand was horrible!!!!!!!! After the millionth time though, it got easier. Practice really does make perfect. 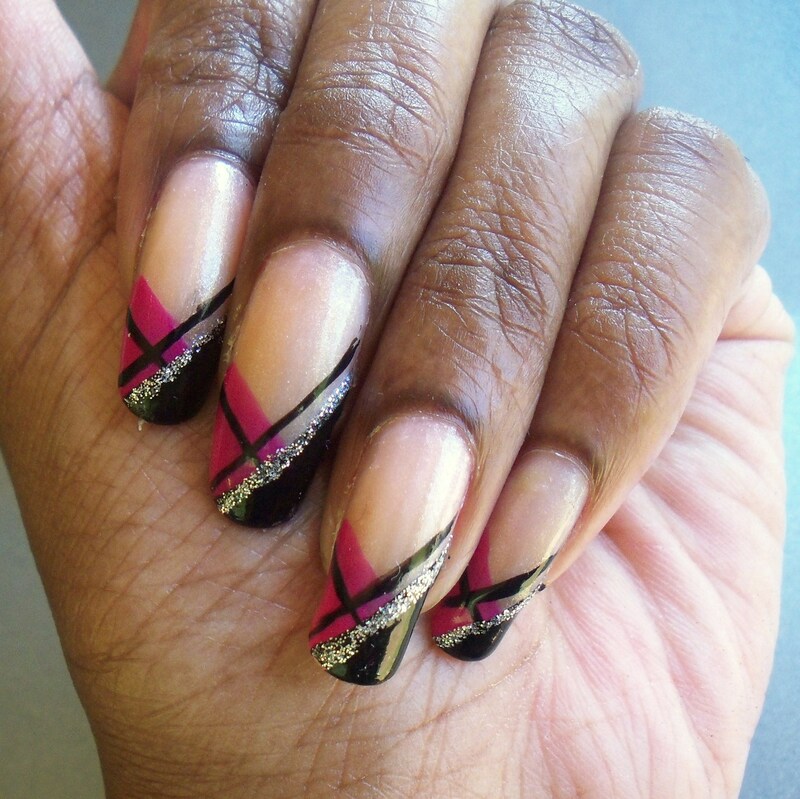 I’m having fun browsing through the YouTube nail art videos and playing around. Those ladies are really good! I hope to one day get decent enough ideas on my own, but in the mean time I’ll keep trying what I see and sharing with y’all.